Apple Pay bringing a new rewards system to WWDC? Though still some way off launching internationally, the New York Times has reported that Apple is planning to announce a frequent-flyer type rewards system, when using its Apple Pay electronic payment method. The rewards scheme is intended to give the company and edge within the highly competitive e-payment market that already churns through US$52 billion a year. 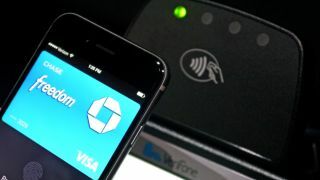 Other than the fact that regular users of the mobile wallet will receive some kickbacks from using the new payment method, Apple is remaining tight lipped about the system, holding off on the details until their WWDC kicks-off on June 8. The news comes just hours before the Google IO Android developers conference begins in San Francisco, where Google is expected to be announcing a massive overhaul of its mobile payments facilities. Sources familiar with Google's plans have said the company will announce Android Pay – a service that will allow merchants to accept in-app payments using a credit card, with additional loyalty schemes – and Google Wallet – a P2P payment app directly connected to your bank account. Samsung, meanwhile, told Samsung Wallet users that the service would no longer be available from July. But the company also announced in March that it would launch Samsung Pay – a contactless payment system almost identical to Apple Pay, which uses Samsung handsets to pay merchants directly – by the end of the year.